Methane ( US: /ˈmɛθeɪn/ or UK: /ˈmiːθeɪn/ ) is a chemical compound with the chemical formula CH4 (one atom of carbon and four atoms of hydrogen). It is a group-14 hydride and the simplest alkane, and is the main constituent of natural gas. The relative abundance of methane on Earth makes it an attractive fuel, although capturing and storing it poses challenges due to its gaseous state under normal conditions for temperature and pressure. Methane clathrate (CH4·5.75H2O) or (4CH4·23H2O), also called methane hydrate, hydromethane, methane ice, fire ice, natural gas hydrate, or gas hydrate, is a solid clathrate compound (more specifically, a clathrate hydrate) in which a large amount of methane is trapped within a crystal structure of water, forming a solid similar to ice. 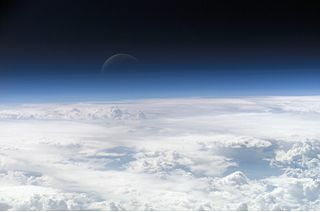 Originally thought to occur only in the outer regions of the Solar System, where temperatures are low and water ice is common, significant deposits of methane clathrate have been found under sediments on the ocean floors of the Earth. The carbon-hydrogen bond is a bond between carbon and hydrogen atoms that can be found in many organic compounds. This bond is a covalent bond meaning that carbon shares its outer valence electrons with up to four hydrogens. This completes both of their outer shells making them stable. Carbon–hydrogen bonds have a bond length of about 1.09 Å and a bond energy of about 413 kJ/mol. Using Pauling's scale—C (2.55) and H (2.2)—the electronegativity difference between these two atoms is 0.35. Because of this small difference in electronegativities, the C−H bond is generally regarded as being non-polar. In structural formulas of molecules, the hydrogen atoms are often omitted. Compound classes consisting solely of C–H bonds and C–C bonds are alkanes, alkenes, alkynes, and aromatic hydrocarbons. Collectively they are known as hydrocarbons. At room temperature and standard pressure, methane is a colorless, odorless gas. The familiar smell of natural gas as used in homes is achieved by the addition of an odorant, usually blends containing tert-butylthiol, as a safety measure. 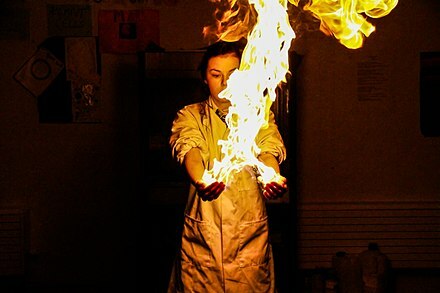 Methane has a boiling point of −164 °C (−257.8 °F) at a pressure of one atmosphere. As a gas it is flammable over a range of concentrations (5.4–17%) in air at standard pressure. Colloquially, room temperature is the range of air temperatures that most people prefer for indoor settings, which feel comfortable when wearing typical indoor clothing. Human comfort can extend beyond this range depending on humidity, air circulation and other factors. In certain fields, like science and engineering, and within a particular context, room temperature can mean different agreed-on ranges. 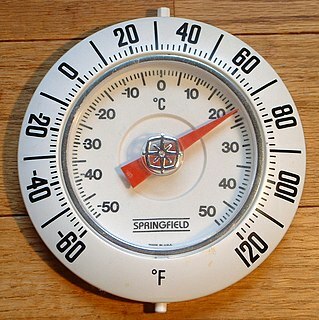 In contrast, ambient temperature is the actual temperature of the air in any particular place, as measured by a thermometer. It may be very different from usual room temperature, for example an unheated room in winter. The Celsius scale, also known as the centigrade scale, is a temperature scale used by the International System of Units (SI). As an SI derived unit, it is used by all countries except the United States, the Bahamas, Belize, the Cayman Islands and Liberia. It is named after the Swedish astronomer Anders Celsius (1701–1744), who developed a similar temperature scale. The degree Celsius can refer to a specific temperature on the Celsius scale or a unit to indicate a difference between two temperatures or an uncertainty. Before being renamed to honor Anders Celsius in 1948, the unit was called centigrade, from the Latin centum, which means 100, and gradus, which means steps. A plastic crystal is a crystal composed of weakly interacting molecules that possess some orientational or conformational degree of freedom. The name plastic crystal refers to the mechanical softness of such phases: they resemble waxes and are easily deformed. If the internal degree of freedom is molecular rotation, the name rotor phase or rotatory phase is also used. Typical examples are the modifications Methane I and Ethane I. In addition to the conventional molecular plastic crystals, there are also emerging ionic plastic crystals, particularly organic ionic plastic crystals (OIPCs) and protic organic ionic plastic crystals (POIPCs). POIPCs are solid protic organic salts formed by proton transfer from a Brønsted acid to a Brønsted base and in essence are protic ionic liquids in the molten state, have found to be promising solid-state proton conductors for high temperature proton exchange membrane fuel cells. Examples include 1,2,4-triazolium perfluorobutanesulfonate and imidazolium methanesulfonate. Like other hydrocarbons, methane is a very weak acid. Its pKa in DMSO is estimated to be 56. It cannot be deprotonated in solution, but the conjugate base is known in forms such as methyllithium. Methane is used as a fuel for ovens, homes, water heaters, kilns, automobiles,   turbines, and other things. Activated carbon is used to store methane. Gaseous  methane is also used as a rocket fuel when combined with liquid oxygen, as in the BE-4 and Raptor engines. As the major constituent of natural gas, methane is important for electricity generation by burning it as a fuel in a gas turbine or steam generator. Compared to other hydrocarbon fuels, methane produces less carbon dioxide for each unit of heat released. At about 891 kJ/mol, methane's heat of combustion is lower than that of any other hydrocarbon. However, it produces more heat per mass (55.7 kJ/g) than any other organic molecule due to its relatively large content of hydrogen, which accounts for 55% of the heat of combustion  but contributes only 25% of the molecular mass of methane. In many cities, methane is piped into homes for domestic heating and cooking. In this context it is usually known as natural gas, which is considered to have an energy content of 39 megajoules per cubic meter, or 1,000 BTU per standard cubic foot. Liquefied natural gas (LNG) is predominantly methane (CH4) converted into liquid form for ease of storage or transport. Refined liquid methane is used as a rocket fuel. Methane is reported to offer the advantage over kerosene of depositing less carbon on the internal parts of rocket motors, reducing the difficulty of re-use of boosters. The name "methane" was coined in 1866 by the German chemist August Wilhelm von Hofmann. The name was derived from methanol. Methanogens are microorganisms that produce methane as a metabolic byproduct in hypoxic conditions. They are prokaryotic and belong to the domain of archaea. They are common in wetlands, where they are responsible for marsh gas, and in the digestive tracts of animals such as ruminants and humans, where they are responsible for the methane content of belching in ruminants and flatulence in humans. In marine sediments the biological production of methane, also termed methanogenesis, is generally confined to where sulfates are depleted, below the top layers. Moreover, methanogenic archaea populations play an indispensable role in anaerobic wastewater treatments. Others are extremophiles, found in environments such as hot springs and submarine hydrothermal vents as well as in the "solid" rock of Earth's crust, kilometers below the surface. Methanogenesis or biomethanation is the formation of methane by microbes known as methanogens. Organisms capable of producing methane have been identified only from the domain Archaea, a group phylogenetically distinct from both eukaryotes and bacteria, although many live in close association with anaerobic bacteria. The production of methane is an important and widespread form of microbial metabolism. In anoxic environments, it is the final step in the decomposition of biomass. Methanogenesis is responsible for significant amounts of natural gas accumulations, the remainder being thermogenic. Hydrogen fuel is a zero-emission fuel when burned with oxygen. It can be used in electrochemical cells or internal combustion engines to power vehicles or electric devices. It has begun to be used in commercial fuel cell vehicles such as passenger cars, and has been used in fuel cell buses for many years. It is also used as a fuel for the propulsion of spacecraft. Greenhouse gas removal projects are a type of climate engineering that seek to remove greenhouse gases from the atmosphere, and thus they tackle the root cause of global warming. These techniques either directly remove greenhouse gases, or alternatively seek to influence natural processes to remove greenhouse gases indirectly. The discipline overlaps with carbon capture and storage and carbon sequestration, and some projects listed may not be considered to be climate engineering by all commentators, instead being described as mitigation. The Jundiz recycling plant is located in the Basque Country, particularly in Vitoria-Gasteiz Jundiz Álava. This place is responsible for recycling the city garbage. The trash is converted by a physical-chemical or mechanical process to submit a substance or a product already used to a cycle of total or partial treatment for a commodity or a new product or raw materials from waste, introducing them back into life cycle. This occurs at the prospect of depletion of natural resources, macro economic and eliminate waste efficiently. Carbon-neutral fuel is energy fuel or energy systems which have no net greenhouse gas emissions or carbon footprint. One class is synthetic fuel produced from renewable, sustainable or nuclear energy used to hydrogenate carbon dioxide directly captured from the air (DAC), recycled from power plant flue exhaust gas or derived from carbonic acid in seawater. Renewable energy sources include wind turbines, solar panels, and hydroelectric power stations. Another type of renewable energy source is biofuel. Such fuels are potentially carbon-neutral because they do not result in a net increase in atmospheric greenhouse gases. Methane clumped isotopes are methane molecules that contain two or more rare isotopes. Methane (CH4) contains two elements, carbon and hydrogen, each of which has two stable isotopes. For carbon, 98.9% are in the form of carbon-12 (12C) and 1.1% are carbon-13 (13C); while for hydrogen, 99.99% are in the form of protium (1H) and 0.01% are deuterium (2H or D). Carbon-13 (13C) and deuterium (2H or D) are rare isotopes in methane molecules. The abundance of the clumped isotopes provides information independent from the traditional carbon or hydrogen isotope composition of methane molecules. The sulfate-methane transition zone (SMTZ) is a zone in oceans, lakes, and rivers found below the sediment surface in which sulfate and methane coexist. The formation of a SMTZ is driven by the diffusion of sulfate down the sediment column and the diffusion of methane up the sediments. At the SMTZ, their diffusion profiles meet and sulfate and methane react with one another, which allows the SMTZ to harbor a unique microbial community whose main form of metabolism is anaerobic oxidation of methane (AOM). The presence of AOM marks the transition from dissimilatory sulfate reduction to methanogenesis as the main metabolism utilized by organisms. 1 2 "Front Matter". Nomenclature of Organic Chemistry : IUPAC Recommendations and Preferred Names 2013 (Blue Book). Cambridge: The Royal Society of Chemistry. 2014. pp. 3–4. doi:10.1039/9781849733069-FP001. ISBN 978-0-85404-182-4. Methane is a retained name (see P-12.3) that is preferred to the systematic name ‘carbane’, a name never recommended to replace methane, but used to derive the names ‘carbene’ and ‘carbyne’ for the radicals H2C2• and HC3•, respectively. ↑ "Gas Encyclopedia" . Retrieved November 7, 2013. ↑ "Safety Datasheet, Material Name: Methane" (PDF). USA: Metheson Tri-Gas Incorporated. December 4, 2009. Archived from the original (PDF) on June 4, 2012. Retrieved December 4, 2011. ↑ Khalil, M. A. K. (1999). "Non-Co2 Greenhouse Gases in the Atmosphere". Annual Review of Energy and the Environment. 24: 645–661. doi:10.1146/annurev.energy.24.1.645. ↑ "Technical summary". Climate Change 2001. United Nations Environment Programme. Archived from the original on June 4, 2011. ↑ Etiope, Giuseppe; Lollar, Barbara Sherwood (2013). "Abiotic Methane on Earth". Reviews of Geophysics. 51 (2): 276–299. doi:10.1002/rog.20011. ISSN 1944-9208. ↑ Hensher, David A. & Button, Kenneth J. (2003). Handbook of transport and the environment. Emerald Group Publishing. p. 168. ISBN 978-0-08-044103-0. ↑ Bini, R.; Pratesi, G. (1997). "High-pressure infrared study of solid methane: Phase diagram up to 30 GPa". Physical Review B. 55 (22): 14800–14809. Bibcode:1997PhRvB..5514800B. doi:10.1103/physrevb.55.14800. ↑ Wendelin Himmelheber. "Crystal structures". Archived from the original on August 9, 2016. Retrieved June 13, 2016. ↑ Baik, Mu-Hyun; Newcomb, Martin; Friesner, Richard A.; Lippard, Stephen J. (2003). "Mechanistic Studies on the Hydroxylation of Methane by Methane Monooxygenase". Chemical Reviews. 103 (6): 2385–419. doi:10.1021/cr950244f. PMID 12797835. ↑ Snyder, Benjamin E. R.; Bols, Max L.; Schoonheydt, Robert A.; Sels, Bert F.; Solomon, Edward I. (December 19, 2017). "Iron and Copper Active Sites in Zeolites and Their Correlation to Metalloenzymes". Chemical Reviews. 118 (5): 2718–2768. doi:10.1021/acs.chemrev.7b00344. ISSN 0009-2665. PMID 29256242. ↑ Reimann, Joachim; Jetten, Mike S.M. ; Keltjens, Jan T. (2015). "Chapter 7 Metal Enzymes in "Impossible" Microorganisms Catalyzing the Anaerobic Oxidation of Ammonium and Methane". In Peter M.H. Kroneck and Martha E. Sosa Torres (ed.). Sustaining Life on Planet Earth: Metalloenzymes Mastering Dioxygen and Other Chewy Gases. Metal Ions in Life Sciences. 15. Springer. pp. 257–313. doi:10.1007/978-3-319-12415-5_7. ISBN 978-3-319-12414-8. PMID 25707470. ↑ Bordwell, Frederick G. (1988). "Equilibrium acidities in dimethyl sulfoxide solution". Accounts of Chemical Research. 21 (12): 456–463. doi:10.1021/ar00156a004. ↑ Rasul, G.; Surya Prakash, G. K.; Olah, G. A. (2011). "Comparative study of the hypercoordinate carbonium ions and their boron analogs: A challenge for spectroscopists". Chemical Physics Letters. 517 (1): 1–8. Bibcode:2011CPL...517....1R. doi:10.1016/j.cplett.2011.10.020. ↑ Bernskoetter, W.H. ; Schauer, C.K. ; Goldberg, K.I. ; Brookhart, M. (2009). "Characterization of a Rhodium(I) σ-Methane Complex in Solution". Science. 326 (5952): 553–556. Bibcode:2009Sci...326..553B. doi:10.1126/science.1177485. PMID 19900892. ↑ Energy Content of some Combustibles (in MJ/kg). People.hofstra.edu. Retrieved on March 30, 2014. ↑ March, Jerry (1968). Advance Organic Chemistry: Reactions, Mechanisms and Structure. New York: McGraw-Hill Book Company. pp. 533–534. ↑ "Lumber Company Locates Kilns at Landfill to Use Methane – Energy Manager Today". Energy Manager Today. Retrieved March 11, 2016. ↑ Musk, Elon (February 3, 2019). "Gaseous CH4/O2 & heavy duty spark plugs. Basically, a of insane power". @elonmusk. Retrieved February 12, 2019. 1 2 Thunnissen, Daniel P.; Guernsey, C. S.; Baker, R. S.; Miyake, R. N. (2004). "Advanced Space Storable Propellants for Outer Planet Exploration". American Institute of Aeronautics and Astronautics (4–0799): 28. ↑ Kietäväinen and Purkamo (2015). "The origin, source, and cycling of methane in deep crystalline rock biosphere". Front. Microbiol. 6: 725. doi:10.3389/fmicb.2015.00725. PMC 4505394 . PMID 26236303. ↑ Cramer and Franke (2005). "Indications for an active petroleum system in the Laptev Sea, NE Siberia". Journal of Petroleum Geology. 28 (4): 369–384. Bibcode:2005JPetG..28..369C. doi:10.1111/j.1747-5457.2005.tb00088.x. ↑ Serrano-Silva, N.; Sarria-Guzman, Y.; Dendooven, L.; Luna-Guido, M. (2014). "Methanogenesis and methanotrophy in soil: a review". Pedosphere. 24: 291–307. doi:10.1016/S0009-2541(99)00092-3. ↑ Sirohi, S. K.; Pandey, Neha; Singh, B.; Puniya, A. K. (September 1, 2010). "Rumen methanogens: a review". Indian Journal of Microbiology. 50 (3): 253–262. doi:10.1007/s12088-010-0061-6. ISSN 0973-7715. PMC 3450062 . PMID 23100838. ↑ Lyu, Zhe; Shao, Nana; Akinyemi, Taiwo; Whitman, William B. (2018). "Methanogenesis". Current Biology. 28 (13): R727–R732. doi:10.1016/j.cub.2018.05.021. ISSN 0960-9822. ↑ "Inventory of U.S. Greenhouse Gas Emissions and Sinks: 1990–2014". 2016. ↑ FAO (2006). Livestock's Long Shadow–Environmental Issues and Options. Rome, Italy: Food and Agriculture Organization of the United Nations (FAO). Retrieved October 27, 2009. ↑ Goodland, Robert & Anhang, Jeff (November – December 2009). "Livestock and Climate Change" (PDF). Washington, D.C.: World Watch. ↑ Gerber, P.J. ; Steinfeld, H.; Henderson, B.; Mottet, A.; Opio, C.; Dijkman, J.; Falcucci, A. & Tempio, G. (2013). 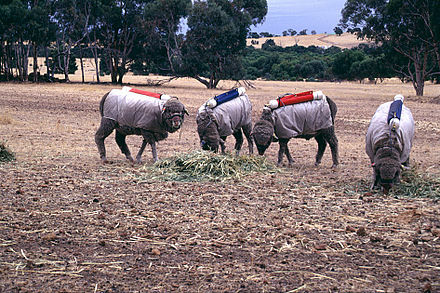 "Tackling Climate Change Through Livestock". Rome: Food and Agriculture Organization of the United Nations (FAO). ↑ Roach, John (May 13, 2002). "New Zealand Tries to Cap Gaseous Sheep Burps". National Geographic. Retrieved March 2, 2011. ↑ Research on use of bacteria from the stomach lining of kangaroos (who don't emit methane) to reduce methane in cattle. Alternet.org (January 3, 2008). Retrieved on May 24, 2012. ↑ Silverman, Jacob (July 16, 2007). "Do cows pollute as much as cars?". HowStuffWorks.com. ↑ "Study Finds Surprising Arctic Methane Emission Source". NASA. April 22, 2012. ↑ Shindell, D. T.; Faluvegi, G.; Koch, D. M.; Schmidt, G. A.; Unger, N.; Bauer, S. E. (2009). "Improved Attribution of Climate Forcing to Emissions". Science. 326 (5953): 716–718. Bibcode:2009Sci...326..716S. doi:10.1126/science.1174760. PMID 19900930. ↑ Miller, G. Tyler (2007). Sustaining the Earth: An Integrated Approach. U.S.A.: Thomson Advantage Books, ISBN 0534496725, p. 160. ↑ Dean, J. F. (2018). "Methane feedbacks to the global climate system in a warmer world". Reviews of Geophysics. 56: 207–250. doi:10.1002/2017RG000559. ↑ Boswell, Ray; Collett, Timothy S. (2011). "Current perspectives on gas hydrate resources". Energy Environ. Sci. 4 (4): 1206–1215. doi:10.1039/c0ee00203h. ISSN 1754-5692. ↑ "New source of methane discovered in the Arctic Ocean". phys.org. May 1, 2015. Retrieved April 10, 2019. ↑ "Methane Releases From Arctic Shelf May Be Much Larger and Faster Than Anticipated" (Press release). National Science Foundation (NSF). March 10, 2010. ↑ Connor, Steve (December 13, 2011). "Vast methane 'plumes' seen in Arctic ocean as sea ice retreats". The Independent. ↑ "Arctic sea ice reaches lowest extent for the year and the satellite record" (Press release). The National Snow and Ice Data Center (NSIDC). September 19, 2012. ↑ "Frontiers 2018/19: Emerging Issues of Environmental Concern". UN Environment. Retrieved March 6, 2019. 1 2 Zubrin, R. M.; Muscatello, A. C.; Berggren, M. (2013). "Integrated Mars in Situ Propellant Production System". Journal of Aerospace Engineering. 26: 43–56. doi:10.1061/(ASCE)AS.1943-5525.0000201. ↑ "Methane Blast". NASA. May 4, 2007. Retrieved July 7, 2012. ↑ Chang, Kenneth (November 2, 2012). 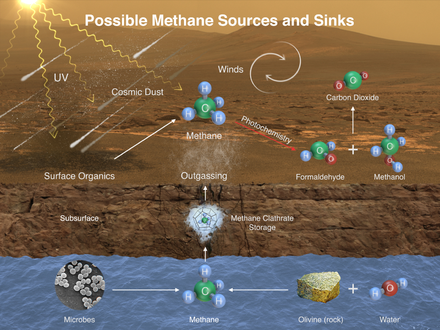 "Hope of Methane on Mars Fades". New York Times. Retrieved November 3, 2012. ↑ Brown, Dwayne; Wendel, JoAnna; Steigerwald, Bill; Jones, Nancy; Good, Andrew (June 7, 2018). "Release 18-050 - NASA Finds Ancient Organic Material, Mysterious Methane on Mars". NASA . Retrieved June 7, 2018. ↑ NASA (June 7, 2018). "Ancient Organics Discovered on Mars - video (03:17)". NASA . Retrieved June 7, 2018. ↑ Wall, Mike (June 7, 2018). "Curiosity Rover Finds Ancient 'Building Blocks for Life' on Mars". Space.com . Retrieved June 7, 2018. ↑ Chang, Kenneth (June 7, 2018). "Life on Mars? Rover's Latest Discovery Puts It 'On the Table' - The identification of organic molecules in rocks on the red planet does not necessarily point to life there, past or present, but does indicate that some of the building blocks were present". The New York Times . Retrieved June 8, 2018. ↑ Voosen, Paul (June 7, 2018). "NASA rover hits organic pay dirt on Mars". Science . Retrieved June 7, 2018. ↑ ten Kate, Inge Loes (June 8, 2018). "Organic molecules on Mars". Science . 360 (6393): 1068–1069. Bibcode:2018Sci...360.1068T. doi:10.1126/science.aat2662. PMID 29880670. ↑ Webster, Christopher R.; et al. (June 8, 2018). "Background levels of methane in Mars' atmosphere show strong seasonal variations". Science . 360 (6393): 1093–1096. doi:10.1126/science.aaaq0131 (inactive March 15, 2019). Retrieved June 8, 2018. ↑ Eigenbrode, Jennifer L.; et al. (June 8, 2018). "Organic matter preserved in 3-billion-year-old mudstones at Gale crater, Mars". Science . 360 (6393): 1096–1101. doi:10.1126/science.aaas9185 (inactive March 15, 2019). Retrieved June 8, 2018. ↑ Richardson, Derek (September 27, 2016). "Elon Musk Shows Off Interplanetary Transport System". Spaceflight Insider. Retrieved October 3, 2016. ↑ Oze, C.; Sharma, M. (2005). "Have olivine, will gas: Serpentinization and the abiogenic production of methane on Mars". Geophysical Research Letters. 32 (10): L10203. Bibcode:2005GeoRL..3210203O. doi:10.1029/2005GL022691. 1 2 Methane. BookRags. Retrieved January 26, 2012. ↑ "Industries: Landfill-Biogas". Industrial Pollution Equipment Advisor. IPE Advisor. Retrieved March 17, 2019. ↑ Dozolme, Philippe. "Common Mining Accidents". About.com. ↑ Lawrence Messina & Greg Bluestein (April 8, 2010). "Fed official: Still too soon for W.Va. mine rescue". News.yahoo.com. Retrieved April 8, 2010. ↑ "Industries: Oil & Gas". Industrial Pollution Equipment Advisor. Retrieved March 17, 2019. Wikimedia Commons has media related to Methane .